The process to boycott Israel has been exclusionary from the very beginning, championing lockstep ideological uniformity at the expense of the diversity it hypocritically endorses, writes Karabo Khakhau. On Saturday March 30, 2019, the council of the University of Cape Town's (UCT) highest decision-making body will meet to rubber stamp a policy that will make a travesty of everything it stands for – and make it the only university in the world to cut ties with Israel. When you go onto the university's website, one of the first things you see is the vision and mission statements. The mission statement is worth repeating here: "We seek to advance the status and distinctiveness of scholarship in Africa through building strategic partnerships across the continent, the global south and the rest of the world." After Saturday's decision, which will be little more than a formality, that world will be a little smaller. So too will the next paragraph ring a little hollow: "UCT provides a vibrant and supportive intellectual environment that attracts and connects people from all over the world." We won't be able to study in Israel, we won't be able to host students from Israel who might want to come to South Africa and benefit from this ostensibly vibrant and supportive intellectual environment. Any exchange or collaboration between some of the global leading academics there and our own will actually be forbidden. This is hardly the hallmark of academic freedom so beloved by my alma mater. But then again, this entire process has flown in the face of another empty paragraph in the university's mission statement which describes it as "nurturing an inclusive institutional culture which embraces diversity". The process to boycott Israel has been exclusionary from the very beginning, championing lockstep ideological uniformity at the expense of the diversity it hypocritically endorses. 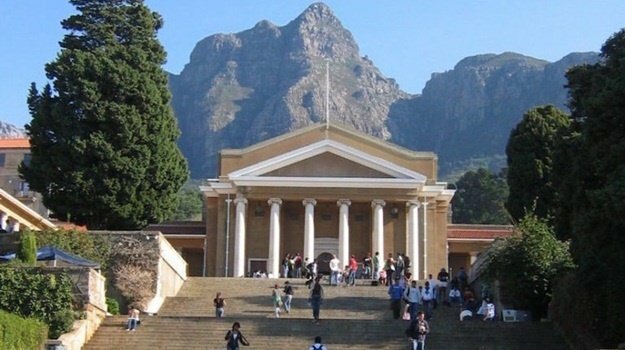 Academic freedom stands at the heart of the rationale for our universities and especially underscores UCT's own proud record, particularly during South Africa's own dark history of repression. When academic freedom is endangered in this way, it strikes at the heart of those institutions and this is what will happen when the recommendation to boycott Israel is ratified on Saturday. Over the years we have seen the rise of populist agendas, which we have let slide, precisely because of the ethos of academic freedom – and because people said this was just student politics, but now we are paying the price. It is no irony that it is Israel that is being targeted – on the basis of its alleged human rights record, yet no other country with proven human rights abuses comes in for anywhere near the same censure. Instead, this boycott speaks volumes about the agenda that is being propagated here at all costs by a disproportionately vocal minority on campus. Shortly after I enrolled in 2016, the university was plunged into huge student unrest around the whole decolonisation of education issue known as #RhodesMustFall. Part of that debate was the conversation around Israel and Palestine. Among the agreements reached by the then vice chancellor Max Price and the student body was that there would be commissions and committees set up to investigate all of the issues that were raised during the protest actions. The academic freedom committee was established and tasked with establishing if imposing an academic boycott on Israeli universities was a viable option for the university to take. The committee then found it was in the best interests of the university to do so. But we all know what the dominant voice in the conversations was and who the dominant figures in the committee were. This process was never open enough or amenable to including the entire university mindset. Instead it was clearly based on a very narrow interpretation of decolonisation that seeks specifically to advance the agenda of that narrow group within the institution. The entire issue has been political from the very beginning, to put pressure on Israel to relinquish its sensible two state solution. This is a political agenda at the expense of academic freedom at what is Africa's top university, a university that should be doing the opposite; fighting for academic freedom for all universities. It will be futile for council to send the decision back to senate to re-consider because the people who will be asking senate to do that will effectively be the same people who endorsed the decision in the first place. Like our new vice chancellor, Mamokgethi Phakeng, who has been addressing the broader community in public forums and platforms promising them that UCT will be an open space for the contestation of ideas, yet says something entirely different and seems to play a different role when she comes back to campus. This is the same person who sat on senate and endorsed this decision, without a single objection. This is the same person who will be sitting in council on Saturday. The role of the vice chancellor in all of this has been deeply disappointing and very questionable. It signals both poor decision-making and poor quality of leadership within the institution; of a management seeking to advance a political ideology at the expense of the essence and progress of the institution. This is not the end of the battle though. Student organisations Progress SA and the South African Union of Jewish Students are hard at work mobilising the broader student body, to get as many students on board to understand the ramifications of this decision and to get them to oppose it. We want to go back to the ground and engage them at grass roots level and come up with petitions. This is about academic freedom and the freedom of association at UCT, but it also has wider ramifications for South Africa as a whole and in context of our Constitution which guarantees those freedoms. This is a fight for the soul of UCT. If we lose, we jeopardise the entire reason universities are supposed to exist in the first place. - Karabo Khakhau is a final year B Soc Sc student at UCT and former president of the Student Representative Council. She is on the Democratic Alliance's list for the Free State legislature in the May 8 general elections.